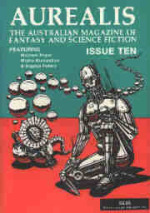 Aurealis' ancestry dates back to the 1950s, a decade which witnessed a plethora of Australian science fiction magazines: Thrills Incorporated, Future Science Fiction and Popular Science Fiction. Since then, the principle of natural selection has applied; and the magazines, although fewer, have been of a higher quality. Far Out! 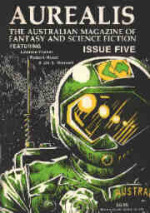 and Aphelion are Aurealis' closest relatives, and their demise left a void in Australian literature. Aurealis has filled that void. 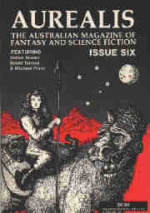 If ever there were any doubts about the quality of Australian fantasy and science fiction, our first issue will dispel them. The stories in this issue are world class. Terry Dowling bedazzles us with a breadth of imaginative vision that few can match, while George Turner once again grapples with the hard questions the others avoid. Geoffrey Maloney has left his rather distinctive mark on his quirky tale, and Sue Isle presents us with a story filled with her own unique brand of humour. Michael Pryor and David Tansey are two new talents who have burst onto the scene with impressive offerings. Jai S. Russell has weighed in with a bizarre and disturbing tale, while Dianne M. Speter's gentle story has some heart-rending consequences. 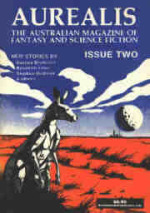 The name Aurealis is a hybrid of Aurora Australis. We hope that the magazine will be as brilliant and inspiring as the Southern Lights after which it was named. 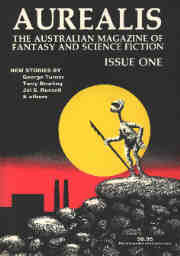 Australian literature has never had a Golden Age of fantasy and science fiction. Perhaps it is shining just up ahead. A Mercenary Talent is a slightly unsavoury thing at the best of times; an out of work one is a pathetic individual indeed. Antelim sang and the ship knew. That is what he believed as he crouched in the dim, red corridor, no longer in his pressure suit but wearing his weaver and his precious sapper-pack, and crooned to the living walls. Castan had told him that the Trelban organiform vessel was empty except for the two of them, but Antelim wanted to be sure. And even as he roamed the irregular tube-like corridors and searched the strange ribbed chambers, he could not resist singing to the ship. Because Antelim was mad (the people at the station had been saying so for months now; the team's psychiatrists had made it official with a clinical name and other fonder words like brilliant and harmless), he believed above all else that the ship wanted him there, believed that it was pleased and would show him the dreams of space. …The firm but light tap tap on his shoulder was an intrusion, an unwanted interruption of his hopeful, fear-free musings. He turned, mildly irritated, expecting to find some stranger at his side seeking the time or a direction; or to see a more welcome, familiar face from the group, a friend who'd hurried quietly to catch up with him. The complement of Starfarer had no idea, when they started out, of how long they might be gone. They searched the sky, the three hundred of them, men and women, black and brown and white and yellow, and in thirty years landed on forty planets whose life-support parameters appeared  from distant observation  close to those of Earth.